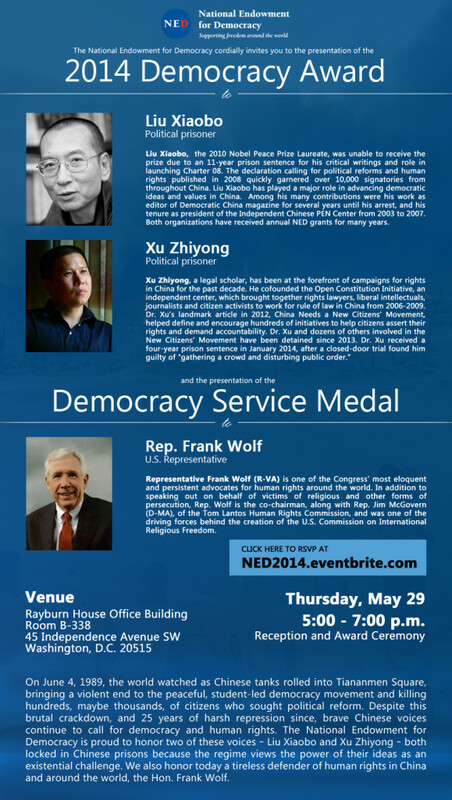 I am honored to be here on behalf of my friend Xu Zhiyong – the recipient of this great honor. What should have been a joyous occasion, however, leaves me with a feeling of great sadness. At this very moment, Zhiyong is serving a prison sentence in China. About two weeks before the court issued the verdict which landed him in prison, his daughter was born. Not only was Zhiyong unable to see her at birth, he is also going to miss out on being there for her and watching her grow up for the next several years. Over the last decade, Zhiyong worked tremendously hard for social justice in China, and paid a cost commensurate to his achievement. In 2003, he and two other scholars, Teng Biao and Yu Jiang, helped free hundreds of millions of migrant workers from the constant fear of arbitrary detention and getting sent back to the countryside, through limiting the unconstitutional use of police power. Xu Zhiyong fought for the freedom of many Chinese, and lost his own freedom over and over. He has already been arrested twice, and beatings, abductions, forced disappearances and house arrest haunted him every step of the way. Zhiyong once said: Prison is the path a nation must walk toward freedom. 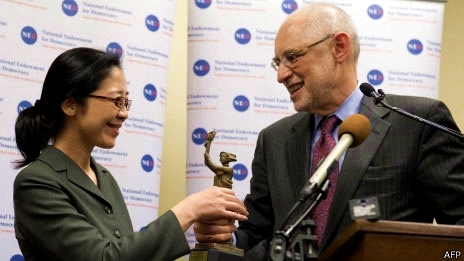 From Liu Xiaobo to Xu Zhiyong, Chinese human rights defenders are traveling undeterred down this honorable and thorny road. I am sorry to say that this is still happening. Starting with the crackdown on the New Citizens Movement and the latest wave of widespread criminal detention of scholars, lawyers, writers and activists, we now have some clear evidence that a larger human rights crisis is happening in China.